The professional kit is for health practitioners and we now have the professional tests in 50 as well as 100 units. This kit has several test possibilites. Several professionals are discovering that our heavy metal test kit is truly the way to go for accurate and economic tests. For starters it is less expensive than hair analysis and it is more accurate. This test can also be used by individuals who is in the process of doing a heavy metal detox and want to check their progress on a regular basis to see the effectiveness of the program they are using. Use these test kits in your heavy metal detoxification program in conjunction with < style="font-size: 10pt"> Bio-Chelat and < style="font-size: 10pt"> Acupeds<> for complete and comprehensive heavy metal detoxification. 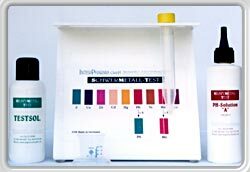 The new Heavy Metal Detoxification Assessment Test (HMDAT) is based on the dithizone reagent (known to chemical science for more than 60 years) which only measures the unbound or free metal ions. In other words, the metals that have not been neutralized by the body are screened. In a healthy body with a functioning detoxification system or in the absence of heavy metals, there should be no free heavy metal ions found in the urine. Consequently when more unbound metal ions are found in the urine, it is strong indication that body's detoxification capacities are exhausted. The type of metal is actually secondary, since all unbound or not neutralized metal ions are toxic to our body. They are a major source of free-radical production. Traditional methods like hair testing or the spectrometric system don't differentiate between bound and unbound metal ions, which is very crucial in the overall assessment, since only the unbound metal ions are toxic to our body. In 1925 Helmut Fisher of the Siemens Concern in Berlin succeeded in detecting heavy metal ions by means of a dithizone process. As a reagent, dithizone is able to indicate the presence of heavy metal ions in qualitative and in quantitative terms at the lower ppm level, even at the parts per bllion (ppb) level. The reaction times of the heavy metal ions vary; therefore, depending on their respective concentrations, different colorations may occur from which one can, in addition to the qualitative conclusions (the dithizone reagent binds to Cu, Zn, Cd, Hg, Pb, Mn, Co, Ni,) draw also quantitative ones regarding the contaminant. 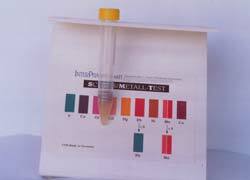 This professional screen test allows the detection of free heavy metal ions in bodily liquids such as urine. The contamination from amalgam fillings or from the environment pointing to infections, organ or system disorders as well as potential health problems can be identified. By taking the biological space of the essential minerals, heavy metals are blocking the absorption of essential minerals and simultaneously a toxic accumulation of unbound zinc and copper ions occurs. At this stage of the contamination, the discharge of copper and zinc ions from the organism are toxics (free electrically active) metals and they can be made visible with this screen test. The valuable essential metals copper and zinc have, in effect, become toxic metals. Therefore when checking the urine for heavy metals, toxic amounts of copper and zinc will always show up first during the test procedure and indicate the presence of heavy metals in the body. Up to a certain point, a healthy body is able to bind (chelate) free heavy metal atoms, i.e. neutralize their electromagnetic charge and clear them out. If this mechanism is no longer able to function because too many toxins have accumulated in the organism, the number of free radicals will increase, especially if the body is suffering with antioxidant deficiency at the same time. In such cases, administering antioxidant supplements will not solve the real problem, namely the accumulation of heavy metal ion deposits in the body. The need for detoxification is established before any specific therapy is administered. The test reagent is therefore an important aid during the initial evaluation. As it is urgent that necessary counter-measures be implemented in the patient’s detoxification therapy, a method to expose and monitor heavy metals becomes crucial. 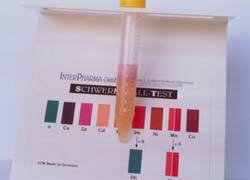 This is what this professional heavy metal test kit will do your you and your clients. 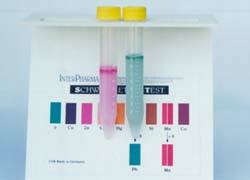 For this screen test, the pH adjustment is necessary. The urine must first be measured and set to 6.5-7.0 with the pH solution. Voir graphique du mode d’emploi. The procedure is the same as the screen test 1-2 but there are 3 more steps. After each step you will add 1ml of urine. 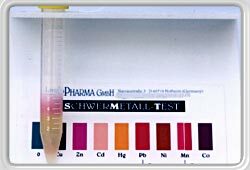 The Professional Heavy Metal screen tests are available in different sizes for multiple uses, 10, 25, 50, or 100 uses per kit. The HMT is easy to conduct and the results are not only quickly obtained but also provide a dramatic and convincing demonstration for the patient. 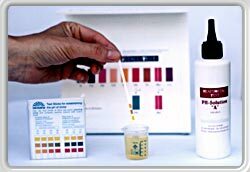 For the test a morning urine specimen (about 30 ml) is required which, using the two pH Solutions A and B, is calibrated to the neutral value of 7.0. 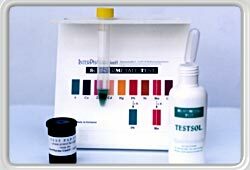 <> To begin with the test, place one of the dithizone treated indicator squares into a solution of Testsol, which is made from natural products. The solution takes on a green coloration which signals phase 0 and constitutes the basis for all further tests. 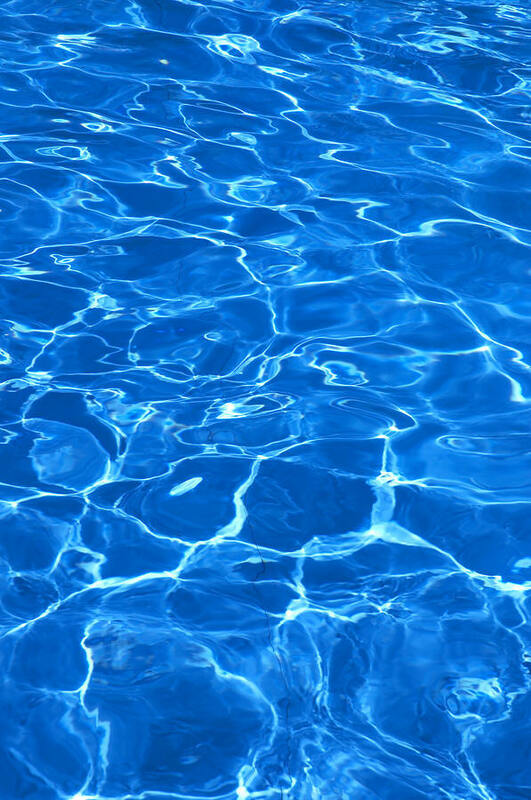 If now a liquid containing heavy metals is added (urine, saliva or other aqueous solution) these heavy metals react with the dithizone and the green coloration changes. The method permits the identification and concentration of several metals with only one reagent. Detailed instructions on how to conduct the test and how to evaluate the results are contained in a booklet and in a pictogram. Since heavy metals contribute, with up to 80% of the causes, to all diseases, the test for heavy metal contamination has become an essential component of any initial diagnosis for anyone who has the safety of the patient at heart. With these tests, you can determine the level of any such contamination. An ingenious and revolutionary method of making complex biochemical processes visible and of clarifying disease profiles, this test should be available in every practice. The right diagnosis is a precondition for a successful therapy and will result in a satisfied patient. 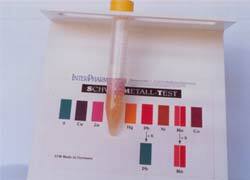 Result: The urine contains a high concentration of free unbound copper and zinc ions. Note: The test reagent only binds to the unbound or free radical producing metal ions. Right test-tube: No color change. No metal present. The statements enclosed herein have not been evaluated by the Food and Drug Administration, Canadian or Mexican health authorities. The products mentioned on this site are not intended to diagnose, treat, cure, or prevent any disease. Information and statements made are for education purposes and are not intended to replace the advice of your family doctor.